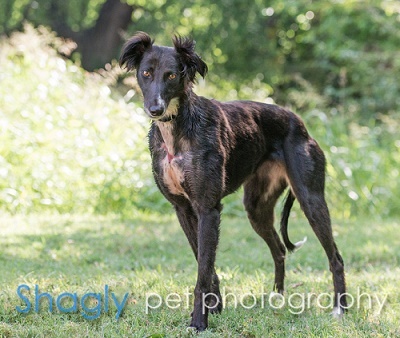 Classy is estimated to be a two year old black saluki female mix. Classy arrived with George, Laura, Lyndon, Lady Bird, Etta and Butch from a horrific cruelty seizure in West Texas. Classy would have not been found if she had not stuck her nose thru the louvered door in an enclosed unit. She arrived with a horrendous open wound approximately 5”x 5” on her chest – these pictures are very *graphic* (image1, image2). Classy was initially in the care of Dr. Wick Culp of Animal Medical Center in Amarillo, and is now under the care of Dr. Jeff Ellis of VCA Preston Park Animal Hospital. The wound is the result of a penetrating injury that then abscessed. The wound is being cleaned and treated daily by the loving and caring staff at PPAH. Surgery may be required in the future as the wound heals. Classy is heartworm negative but is carrying a large load of intestinal parasites, for which she is being treated. Her weight at this time is 43 pounds. Classy is not considered cat tolerant at this time. 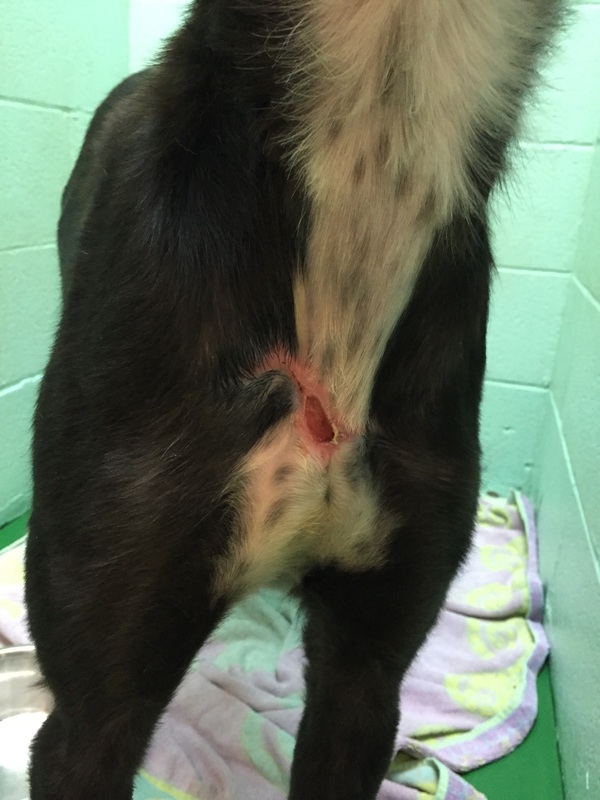 Classy's wound is healing from within with daily hydrotherapy and administration of nitrofurazone ointment so well that Dr. Ellis says no surgery will be needed to close it. Classy’s wound is totally healed and she has completed all of her medical procedures. This sweet girl is ready to find her forever home! The special medical treatment cost needed by Classy is why the Miss Mesa Fund was established. If you would like to help with Classy's care, please take a moment to make a donation to the fund. 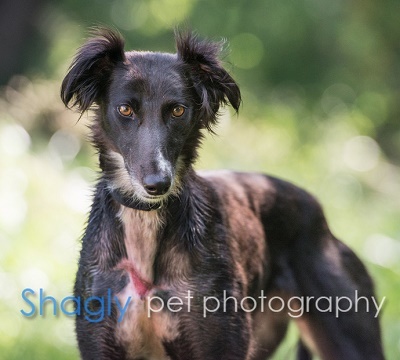 You WILL and CAN make a difference in Classy's life and the lives of other greyhounds in need of special medical care. Your help and support will make a difference - one greyhound at a time. Please note 2016 Grant Challenge/Classy on your check.